A beautiful piece of history, the Francis Grist Mill still stands after years of wear, tear, and age. The mill was built in 1887 to grind corn and wheat. 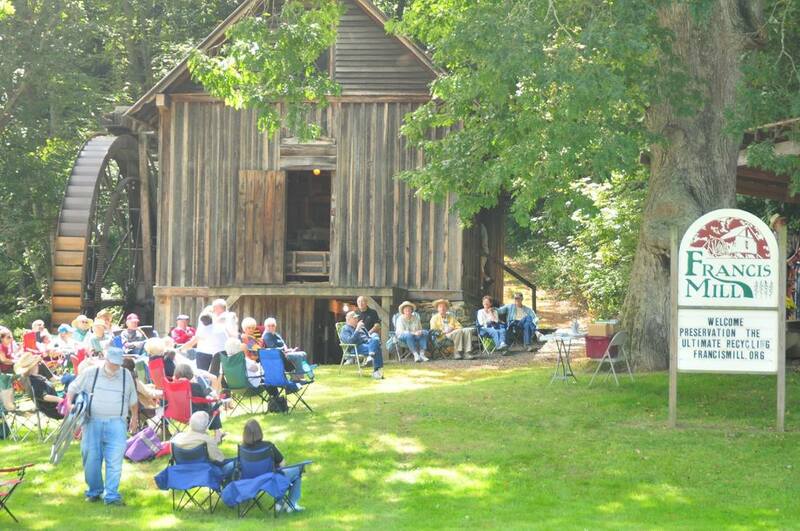 The Francis Grist Mill has been restored and is being preserved by the Francis Mill Preservation Society. If you are interested in assisting with the continuing pr​eservation of the Francis Mill, you may obtain membership information or send donations (all donations are tax deductible) to: The Francis Mill Preservation Society, 14 Hugh Massie Rd., Waynesville, NC 28786, or contact Mrs. Tanna Timbes at 828-456-6307 or email at: tannatimbes@gmail.com. Our historic places in the US are slowly being forgotten, please help us preserve our history.